ACL Field Trip | Ramblers Way Farm | A Continuous Lean. A few weeks back I headed up north for a weekend of rest and relaxation amongst nature. The trip coincided with some seriously severe weather and as much rain as I have ever seen in New York City. The FDR turned into a few miles of standing water that must have been about two feet deep at some points. Not exactly what you want to drive through at five in the morning. Eventually we made it up to Maine most of the rain had all but subsided by the time we stopped in Kennebunk to visit the folks at Ramblers Way, the Maine-based clothing maker and the its Rambouillet sheep farm. 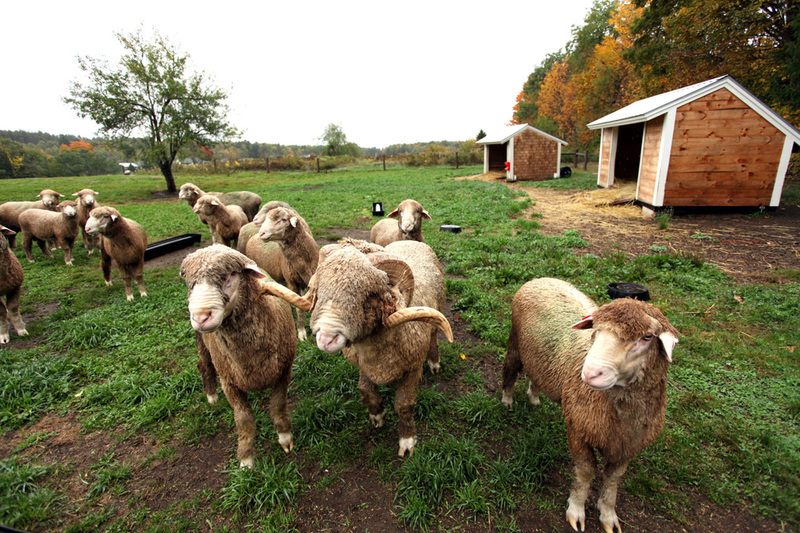 The Maine farm produces a portion of the fine rambouillet wool that Ramblers Way eventually will have processed into fabric, organically dyed and then eventually sewn (in Fall River, mass.) into a line of super-fine worsted wool garments. Ramblers Way was founded by Tom and Kate Chappell – the same people that started the Tom’s of Maine in 1970 – with the mission to produce a collection of wool apparel that is comfortable, natural and entirely sourced / produced in the United States. That’s how I was first introduced to the brand actually, through research on domestic manufactures for The American List. Tom Chappell’s family has a history in the New England textile industry and was an early victim of globalization and the off-shore production shift that the American apparel industry faced in the past few decades. This is one of the reasons that Ramblers Way has decided to source and sew every single garment it makes in the United States. It is also this shared mission that led Ramblers Way to partner (as an advertiser) with ACL to help get the word out. In addition to the small flock of sheep Ramblers Way has in Maine, it also sources a significant amount of wool from ranchers out west. 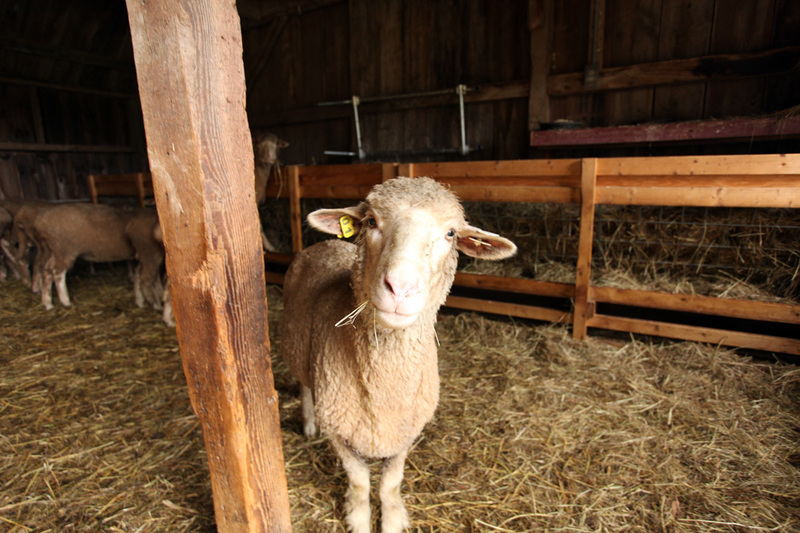 Its interesting to learn that the large majority of wool produced in the United States is shipped to China, where most apparel is made these days. So when Ramblers Way approached these ranchers about buying wool to make garments in the US, the wool producers were obviously pleased to see their products stay in a complete domestic cycle, all the way to the end consumer. It all looks beautiful, and the whole mission is beautiful. But $70 for a pair of boxer briefs is still pretty ferocious. Fair enough. Sour grapes, I suppose, because I’m not sure I could afford to pay $70 for a pair of boxers unless I were King. i can only imagine beautiful clothing being produced in such a beautiful place. A definite Win Win……what a beautiful trip. If our government provided tax relief for companies like this one, which produce in the US, we might again regain our domestic industries. And perhaps a pair of US made boxers would not be $70. 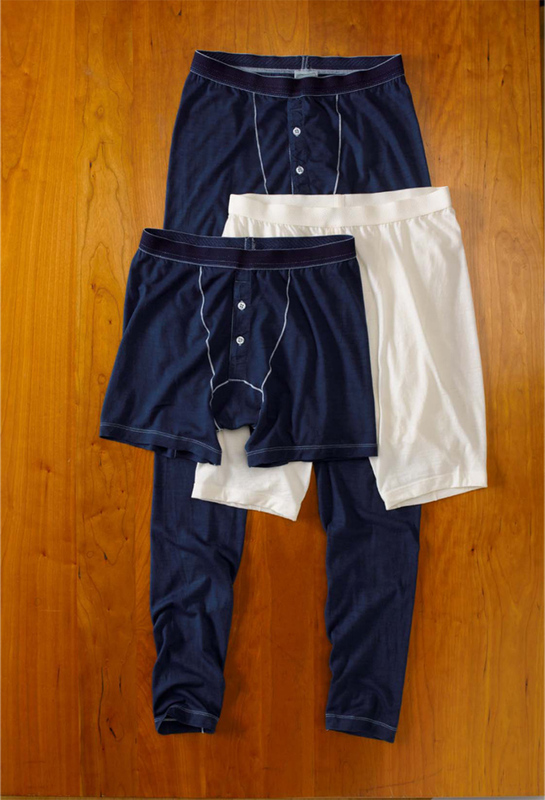 Compared to what you’d pay for Vietnamese made Merino boxer-briefs, $70 is not outrageous. I gotta agree that the cost is prohibitive…the government doesn’t need to provide subsidies, they just need to level the playing field (i.e. charge import duties in line with what other countries charge on our goods and actually make free trade fair). It’s nice to see them mentioned. I’ve felt that they’re the sort of company that should be better known. They are pricey, but I’m happy with the long johns that I got. Everyone is focusing on the $70 boxer-briefs. I admit they are far above what must people are willing to pay, but isn’t that why companies go overseas and produce sub-par product?. The long johns, however, are $90 which seem well priced for an American-made essential winter item. I wouldn’t mind seeing an XS. I don’t understand why companies like these will produce sizing 4 or 5 levels above Large but will not produce an XS. I grew up playing and working on that farm as a child before Tom bought it… Thanks for bring back wonderful memories. something about xs underwear makes me laugh. thin merino is the way to go…Ibex, Smartwool, Icebreaker and a few other companies are making the most comfortable clothes ever. 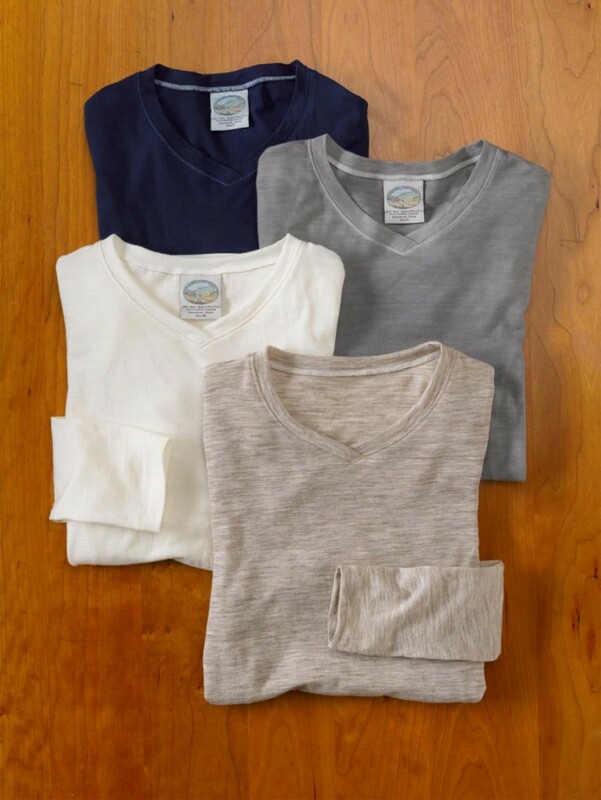 Ramblers Way prices are in line, and I can attest to the durability of merino undershirts in general — so a fair deal. Saw them at Smith & Butler this weekend, so they’re getting plenty of exposure. Man I bet that was an awesome visit. Great product and concept. Thanks a lot. I can get you Llama wool boxers for $35…Retail! Xs small boxers? Check Thom Browne. Great stuff! I loved the post and the product. Thanks for sharing. 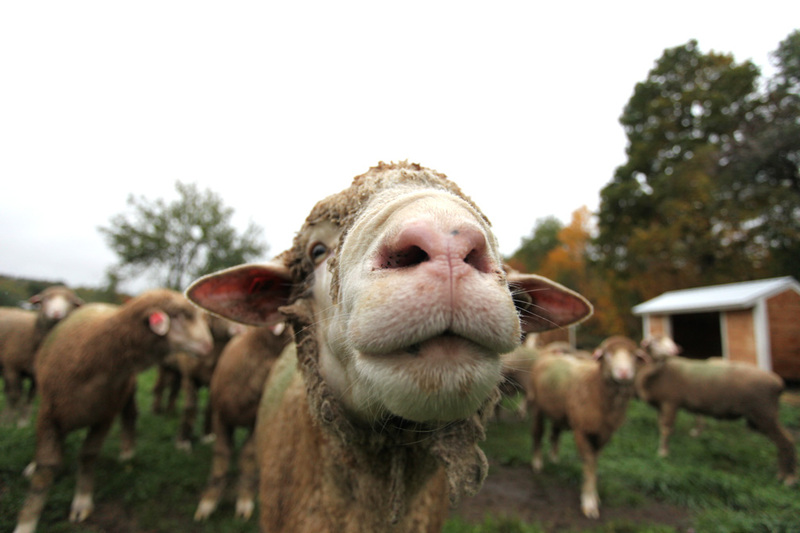 L L Bean sells merino underwear. Used to be called Wicked Warm Wool – now in their Cresta line. $50. However, not American made. Mongolian merino wool. Sounds like $70 is perhaps fair price, then. I feel like I have some sense of spending more on a fewer, and higher quality, goods. But I suppose $70 for a pair of underwear hadn’t entered into my paradigm yet. I’ll have to reconsider – but only if I can wear them minimum three-and-a-half days a week. Although the problem remains that, unlike – for example – your favorite jeans, unless you are a lot less smelly than, well, me, you just can’t wear your favorite underwear (or t-shirt, for that matter) five days a week.